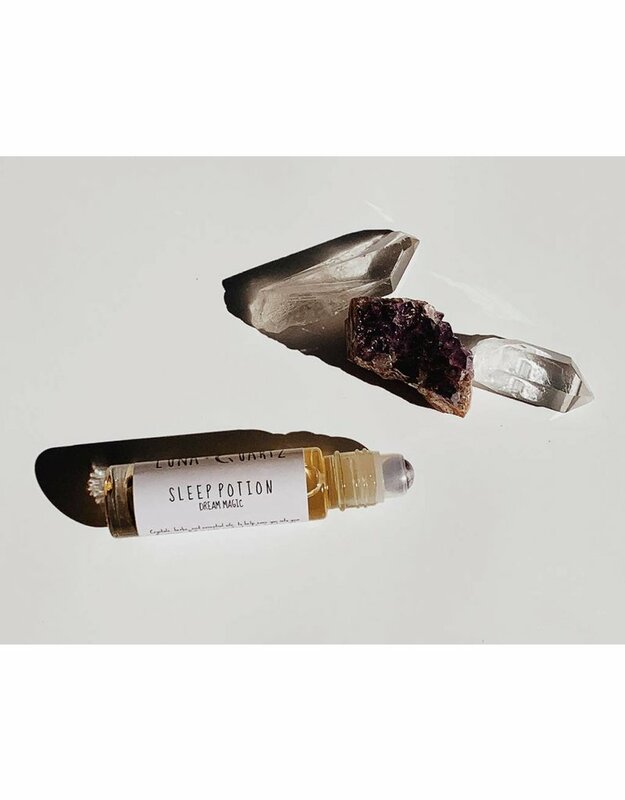 A magic blend of herbal and essential oils, matched with dreamy crystals to relax and ease you into your dreamscape with notes of toasted marshmallows. We’ve solar infused the base of this oil for 6 weeks with Chamomile and Lavender. If you see particles floating in your roller it’s these yummy plants. 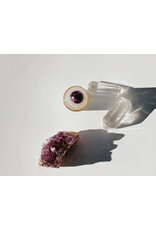 +Iolite| Used to counteract insomnia, calms the nervous and endocrine systems. How to use: Apply to pulse points at wrists, temples, and bottoms of feet. 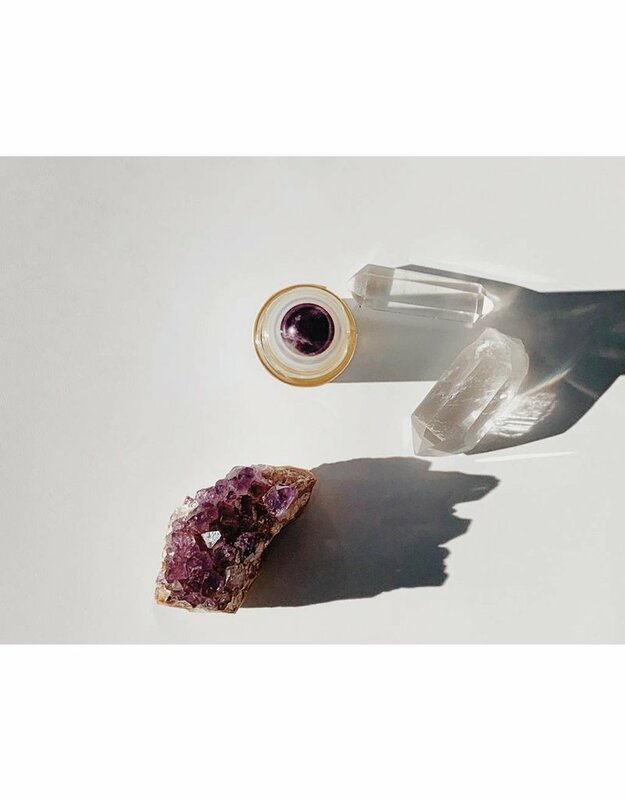 Ingredients: Chamomile and Lavender infused Sweet Almond Oil, Essential oil blend of Peru Balsam, Buddha Wood, Sweet Marjoram, Lavender, Chamomile, and Crystal Quartz, Moonstone, Iolite, and Magic.